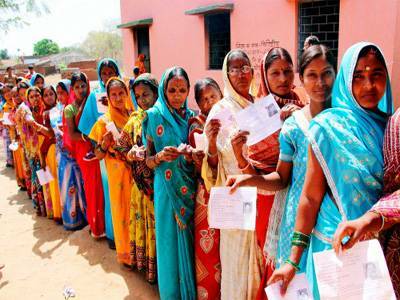 Home > Election Commission > Biennial Elections to the Legislative Councils of Uttar Pradesh from 35 Local Authorities’ Constituencies. Biennial Elections to the Legislative Councils of Uttar Pradesh from 35 Local Authorities’ Constituencies. The biennial election to fill up these seats of the members, vacated due to their retirement could not be conducted before their retirement as the percentage of the local bodies/electors was less than 75% which is the requisite minimum for holding election from Local Authorities’ Constituency as per the norm specified by the Commission and upheld by the Hon’ble Supreme Court in in Election Commission of India Vs Shivaji and Ors (AIR 1988 SC V 1). The term of office of the members to be elected to the Legislative Council from the Local Authorities’ Constituencies’ mentioned above will be subject to the decision of the Hon’ble Supreme Court of India in SLP(C) No. 17123/15 (Election Commission of India Vs. Devesh Chandra Thakur and Ors.). The Model Code of Conduct will come into force with immediate effect in the district(s) in which the above Constituencies are comprised in. In addition, the ECI instructions relating to defacement of Public & Private properties shall also be applicable. A detailed instruction with regard to applicable provisions of Model Code of Conduct for this election has been separately issued.